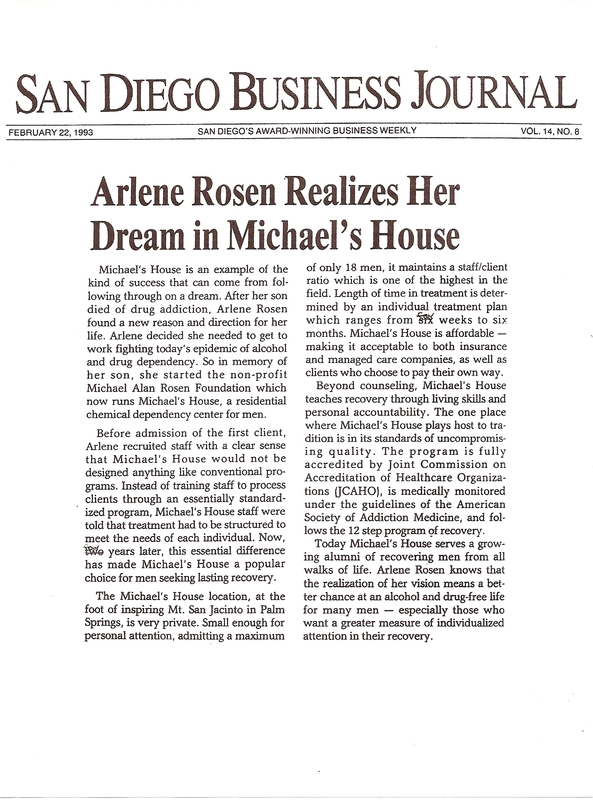 The Arlene and Michael Rosen Foundation’s main purpose is to provide grants to public charities that support and/or provide treatment, research, or wellness programs for medical or mental health issues, with an emphasis on addiction. 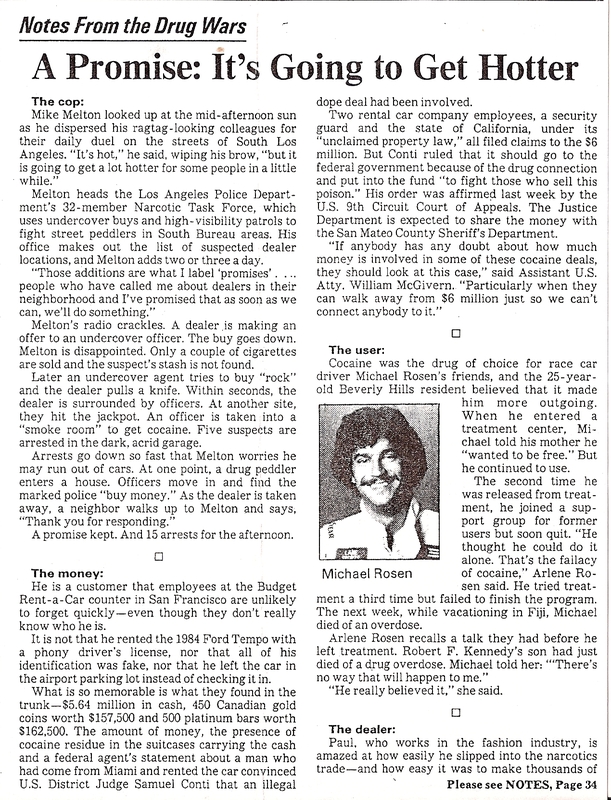 At the age of 25, Michael Rosen was found dead in his hotel room in the Fiji Islands. He had stopped off there on his way to New Zealand, which was a favorite race site. Recently out of a drug treatment program and not wanting his girlfriend see him relapse, he had locked her out of their room and then accidentally overdosed. 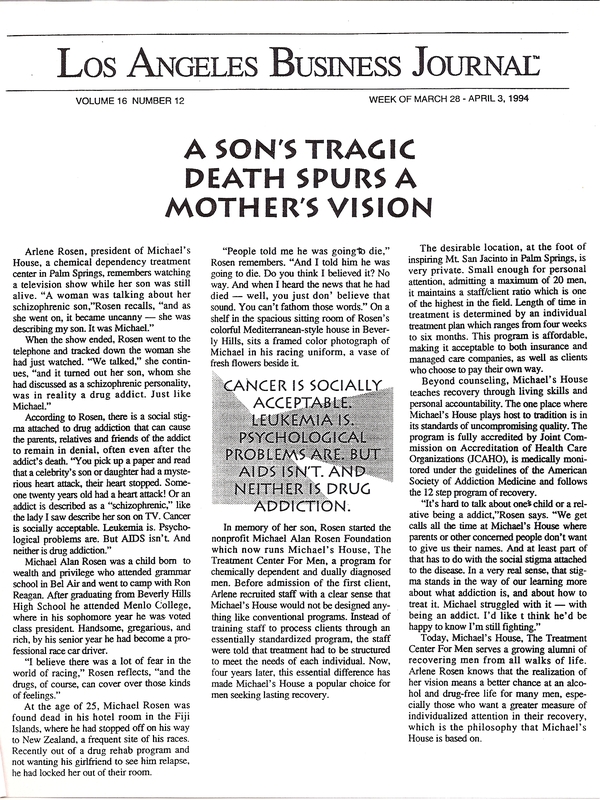 In memory of her son, Arlene Rosen started the nonprofit organization The Michael Alan Rosen (MAR) Foundation, through which she initially opened Michael’s House. For 18 years she ran this program for chemically dependent and dually diagnosed men from all walks of life. 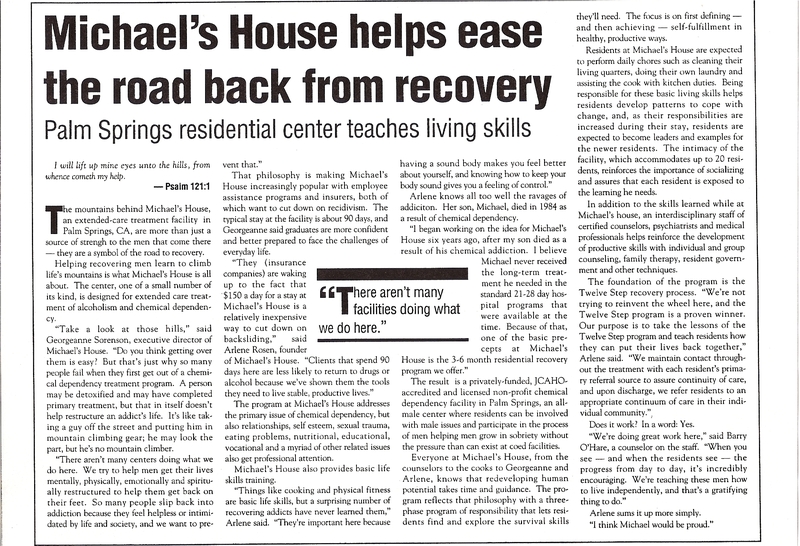 Ms. Rosen wanted to provide a program to help men learn to live in recovery. She realized this dream and was able to help hundreds of men and their families through this vital work. In July of 2015, Arlene G. Rosen, Founder and Chairwoman of The MAR Foundation passed peacefully in her home surrounded by her family and loved ones. Her obituary can be found here. In honor of Arlene and her incredible work, the MAR Foundation was renamed the Arlene and Michael Rosen Foundation (AMRF).